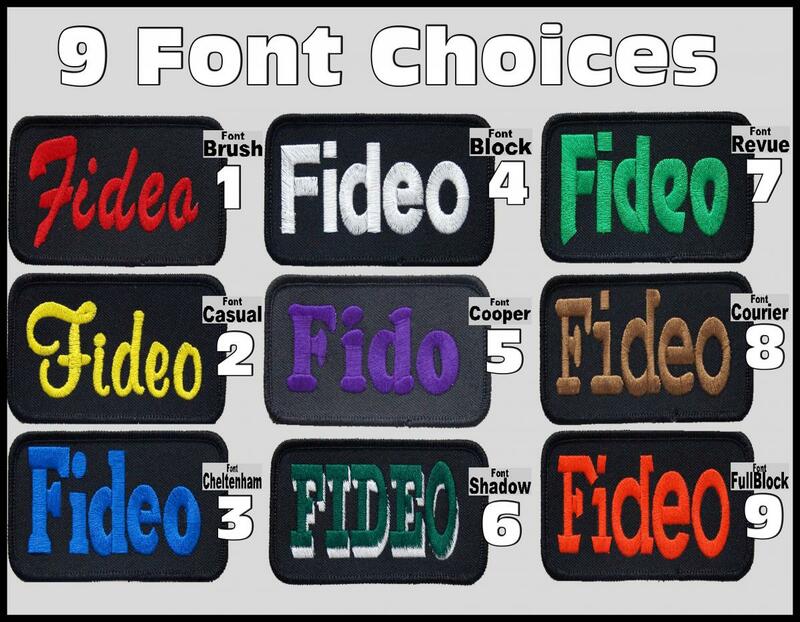 Select a Size: 1.5" x 3.5" 2" x 4"
With our embroidery machine we can do so much and one thing is that you now have a choice of thread color & font style for your custom name patch. Choose the standard white thread or choose the thread color to match your vest color. 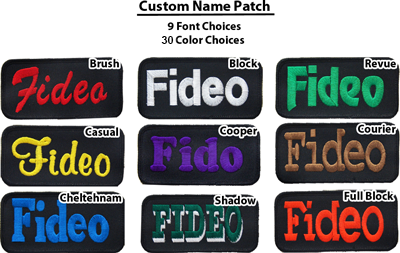 We can make this patch with your dog’s name, your team’s name, or whatever else you may want to say on the dogs vest. The more letters you have on the patch the smaller the lettering will come out. The patch will be black with your choice of thread color and choice of font style, (shadow font is for caps only).